New This Year! Bid online for the 11 'Pro-class Invitational' gingerbread houses at BodnarusAuctioneering.com (you will need to register on that site to place your bid). ﻿But hurry! 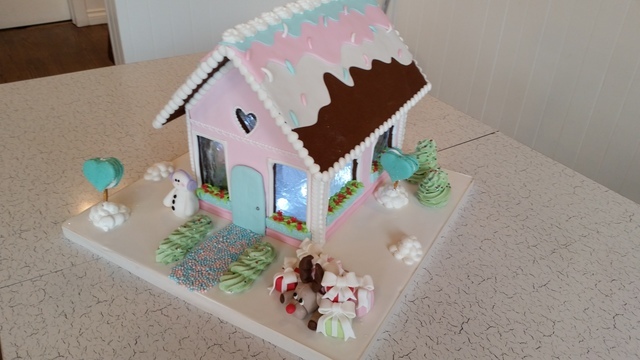 This online auction closes just before the start of Magrath Hometown Christmas ​ (5pm on the evening of Thu 3 Dec 2015) so we can display all the professional gingerbread house entries at Roosters that night ..
New this year! 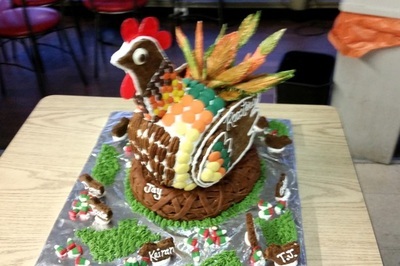 Bring on the Pro's ..
Pro-Class: This year Roosters has invited a number of select 'Professional Class' Gingerbread House builders to create entries to be auctioned off by Bodnarus Auctionering in a special pre-Hometown Christmas online auction (ie the 2 weeks leading up to Hometown Christmas)! Lethbridge College, Fork in the Rowed, CJOC Mornings with Jordan & Char, Edible Arrangements, Magrath Pharmasave, Magrath ATB, Sugar Dreams, Leisels Buns, Crazy Cakes vs Roosters. Jordan and Char are each making one, so that makes 11 pro-class entries in total this year. 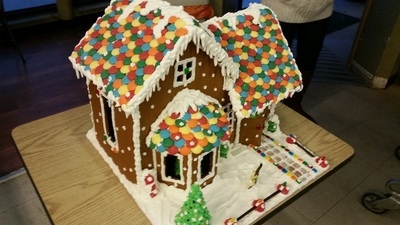 May the best gingerbread house win! 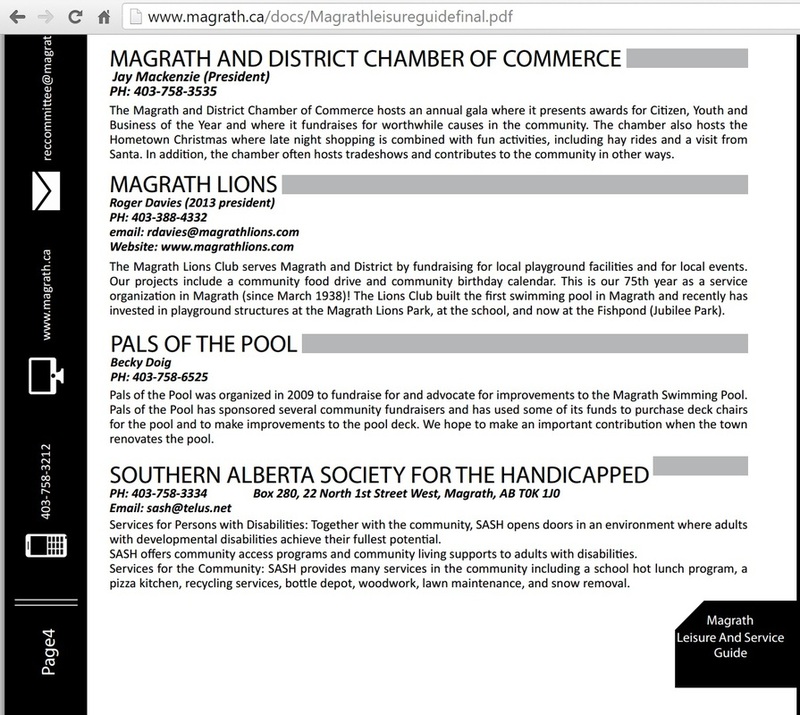 VIEW: These entries will be on display at various locations in Magrath and Lethbridge (see list above) from the 17 Nov right up until the 3 Dec 2015 (just before the Magrath Hometown Christmas Late Night Shopping event begins). Viewing locations will include: Lethbridge M&M Meat Shops (both Fairmont/Town Center locations), Good Earth Coffee House, Urban Grocer, Mocha Cabana, Beachcomber Hottubs, Wine Cavern, CIBC (downtown branch), ATB Magrath, ATB Lethbridge (Mayor Magrath Dr) ..
BID: ​Please join us as a bidder or just come view the fun! But really, be a bidder! WIN: You submit your bids online at BodnarusAuctioneering's auction site: icollector.com/.. You will need to register there to bid but can view multiple images of each of these wonderful entries there. QUICK: Hurry! the auction on these 11 pro-class entries closes just before the start of Magrath Hometown Christmas (5pm on the evening of Thu 3 Dec 2015). Note: for all other fun-class categories there will still be the silent auction to be held on the day of Hometown Christmas - but only these 11 pro-class entries will be in the pre-Hometown Christmas online auction. ​ Professionals, Individuals, Children, Groups, and Families! ​BAKE: Prepare your fun-class entries for donation as in year's past. * and finally: Your project entry is a donation to the cause. you might want back later :). BRING: These entries can be brought to Roosters starting Monday 1 Dec 2015. 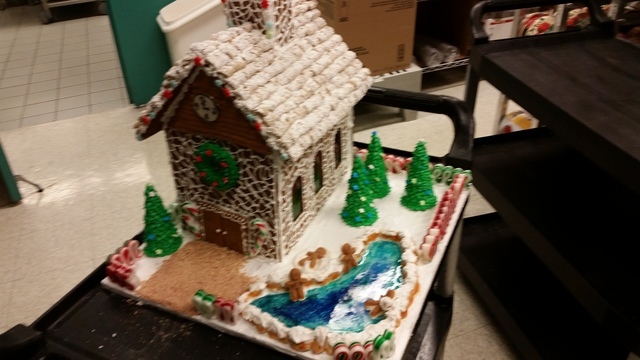 SEE: Come view all the submitted entries at Roosters on Hometown Christmas night. The pro-class entries will be on display at that time, plus all the fun-class entries will be auctioned off via a silent auction that evening, as in years past. BID: on your favorite fun-class entry during the Magrath Hometown Christmas late night shopping event (6pm-8:30pm Thu 3 Dec !​2015). Remember: while the fun-class categories silent auction will be held on the day of Hometown Christmas, the 11 pro-class entries will be featured in the pre-Hometown Christmas online auction on now that ends 5pm just before Hometown Christmas starts. .. the background story ..
For several years now, Roosters in Magrath, in support of a local non-profit group called Pals of the Pool, has held a Gingerbread House contest on the evening of the town celebration known as Magrath Hometown Christmas. The purpose of the contest is to raise money for the new swimming pool. Support to renovate the current swimming pool is much needed. While the town has set aside $100,000 for a new pool (so far), it falls short of the 2.5 million in estimated project cost - so we have a way to go. Magrath residents are customers of many Lethbridge and Magrath businesses. 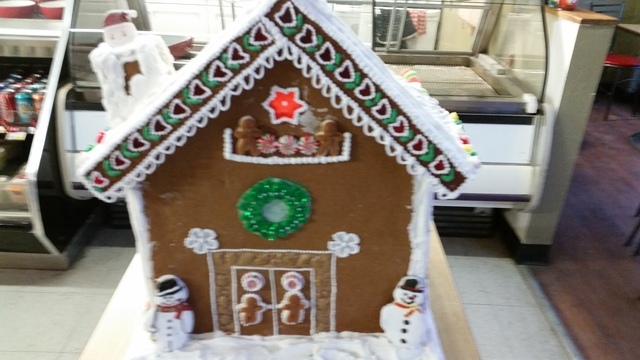 This year we hope to take the contest to new heights with a 'professional only' category by invitation only (but you can still make your own for fun and for display during Magrath's Hometown Christmas if you so desire!) Completed pro-class submissions will be on display at various locations iin either Magrath or Lethbridge and then will be brought to Roosters on Thu 3 Dec 2015 (Hometown Christmas Eve) for final viewing by the entire town. However, the pro-class online auction ends at 5pm on 3 Dec so get your bid in before then! 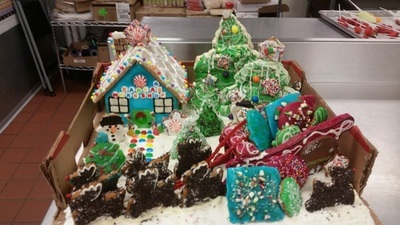 As in years past, anyone can create and donate a creation of their own in the fun-class category - and these will be bid on in a silent auction during Hometown Christmas! Any questions? No? Great! 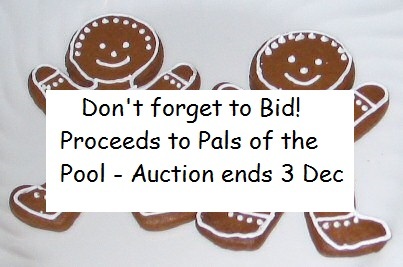 Thank you to all bidders and builders supporting the Pals of the Pool this year! Disclaimer: The information on this page is being updated as it becomes available. We thank you for your patience - it is our first pro-class gingerbread house auction this year!